Naga Panchami is festival of worshiping snakes. 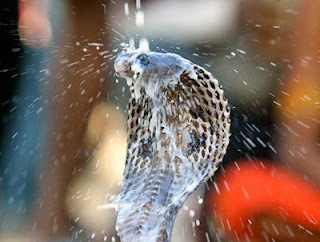 Naga Panchami is on 22 July 2012. Naga Panchami is also called Nagula Chavithi. It is celebrated on the fifth day after Amavasya of the month of Shraavana. 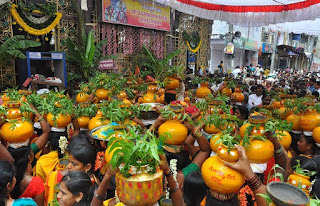 Naga Panchami is celebated by hindus. On Naga Panchami day womens wakeup early take bath and prepares sweet, jonna pyalalu, milk, tumeric powder, kumkum powder and aarthi to nearest hill where snakes are belived to be their. womens will pour milk into hole, then turmeric kumkum after that they takes some of that mud and place in some milk with that they clean the eyes of family members. 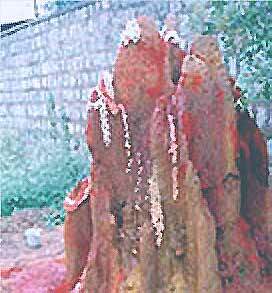 Naga Panchami is celebrated in Lord shiva temples also. Snakes are belived to gods since puranas. As we know lord shiva nek is coverd with a snake, Lord vishnu sleeps (shesha talapam) on snake. Lord krishna dances on a snake (Kaliya snake) in his childhood.